Atmospheric haze pollution monitoring vehicle. Spatial distribution of aerosol extinction coefficient. In recent years, various areas in China have suffered from haze pollution. Face masks are commonly used as protection against this condition, as they limit the inhaling of the airborne particles. Therefore, researchers are making efforts to realize sensitive air pollution monitoring and the corresponding treatment. Lidar technology has been used in the detection of atmospheric pollution. At present, it is mainly applied as fixed lidar and as airborne and spaceborne lidar applicable to a single point or to large areas. However, a lidar system with higher spatial and temporal resolution is required to monitor the time-space distribution and the transport pattern of atmospheric particulate matter at an urban scale. In this regard, the vehicle lidar system can provide superior observation results. 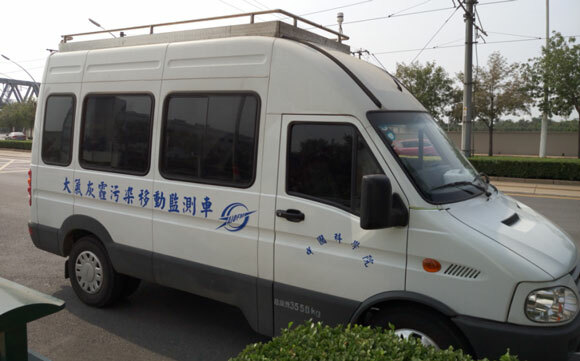 A mobile vehicle lidar system, proposed by the research group of Professor Tianshu Zhang from Anhui Institute of Optics and Fine Mechanics, Chinese Academy of Sciences, has been used recently to research urban air pollution. The related research results have been reported in Chinese Optics Letters, Volume 14, No. 6, 2016 (L.H. Lv et al., Application of mobile vehicle lidar for urban air pollution monitoring). Vehicle lidar technology is based on the Mie scattering theory, which is used to determine the parameters of the aerosol extinction coefficient, depolarization ratio, planetary boundary layer height, and the aerosol optical thickness of the atmosphere with laser. Moreover, it is used to analyze the distribution, transportation, and the source of the pollutants. 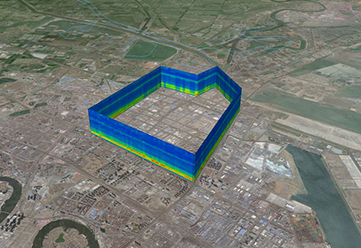 In this study, an experiment was carried out in the Binhai New Area of Tianjin by using a mobile vehicle lidar system. Ground-based lidar data, local meteorological information, and back trajectories from the HYSPLIT model were analyzed. The mobile vehicle lidar technology can obtain the profile of the atmospheric particulate matter quickly, analyze the generating and vanishing process, and the transboundary transport by combining with the macro environment, such as meteorological and topographic conditions, "according to Prof. Tianshu Zhang. Future research will focus on the detection of flux and the total amount of particulate matters presented by combining the technology with wind profiles.